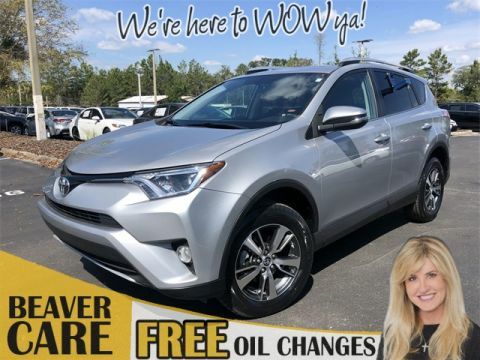 St. Augustine drivers looking for an agile crossover SUV that delivers a delicate balance of efficiency and power need look no further than a used Toyota RAV4 Offering room for the whole family, as well as a bounty of cargo space, a pre-owned RAV4 is perfect for weekend getaways. 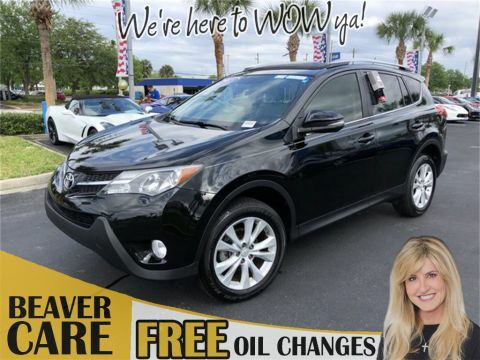 Visit Beaver Toyota St. Augustine today to check out our comprehensive inventory of used Toyota RAV4s! Clean CARFAX. PRISTINE CONDITION, GPS / NAVI / NAVIGATION, SUNROOF / MOONROOF / ROOF, Leather, Bluetooth Handsfree, NO ACCIDENTS ON CARFAX REPORT, Rear View Camera, LEATHER, NONSmoker, Local Trade, MUST SEE!, Fresh Oil Change, Passed Dealership Inspection, Freshly Detailed, EXCELLENT CONDITION, loaded up suv ,from beaver toyota THE BEST SERVICED CARS AND SAFEST ARE HERE AT BEAVER TOYOTA!!. 22/28 City/Highway MPG White 2011 Toyota RAV4 Limited FWD 2.5L 4-Cylinder DOHC Dual VVT-i Awards: * 2011 KBB.com 10 Best Used Family Cars Under $15,000 * 2011 KBB.com Brand Image Awards White 2011 Beaver Toyota RAV4 Limited is a 4D Sport Utility FWD . This Florida SUV has a 2.5L 4-Cylinder DOHC Dual VVT-i engine. Call right now and schedule a test drive. Ask for stock number U739480B, the Florida 2011 Beaver Toyota RAV4 . Shop Us Online at www.beavertoyotastaugustine.com. Serving Jacksonville, Palm Coast, Daytona, Gainesville and St Augustine. Beaver Toyota St Augustine on 2995 US Hwy 1 South in St Augustine. Certified. PRISTINE CONDITION, Bluetooth Handsfree, TOYOTA CERTIFIED*7 YEAR/100K MILE WARRANTY*$0 DEDUCTIBLE*BUY WITH PEACE OF MIND, NONSmoker, Local Trade, MUST SEE!, Fresh Oil Change, Passed 160 Point Toyota Certified Inspection, Passed Dealership Inspection, Freshly Detailed, MINT CONDITION, EXCELLENT CONDITION, BEAVER CERTIFIED ,TOP TEN IN THE COUNTRY ,AMAZING ACCOMPLISHMENT ,WHY! !BEACAUSE WE HAVE THE BEST CERTIFIED USED CARS IN THE MARKET! !THE BEST SERVICED AND THE SAFEST USED CARS ON THE ROAD FOR YOU AND YOUR FAMILY! !, ABS brakes, Electronic Stability Control, Illuminated entry, Low tire pressure warning, Remote keyless entry, Traction control. 24/31 City/Highway MPG Priced below KBB Fair Purchase Price! 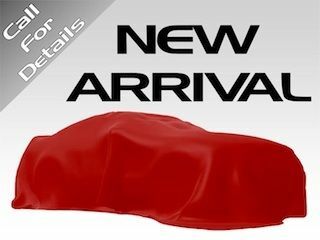 Barcelona Red Metallic 2015 Toyota RAV4 LE FWD 2.5L 4-Cylinder DOHC Dual VVT-i Toyota Certified Used Vehicles Details: * Warranty Deductible: $50 * Limited Comprehensive Warranty: 12 Month/12,000 Mile (whichever comes first) from certified purchase date. Roadside Assistance for 1 Year * Transferable Warranty * Powertrain Limited Warranty: 84 Month/100,000 Mile (whichever comes first) from original in-service date * 160 Point Inspection * Roadside Assistance * Vehicle History Awards: * 2015 KBB.com 10 Best SUVs Under $25,000 * 2015 KBB.com 10 Best All-Wheel-Drive Vehicles Under $25,000 Barcelona Red Metallic 2015 Beaver Toyota RAV4 LE is a 4D Sport Utility FWD . This Florida SUV has a 2.5L 4-Cylinder DOHC Dual VVT-i engine. Call right now and schedule a test drive. 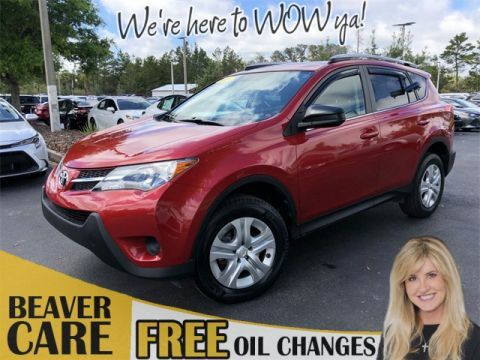 Ask for stock number W003784A, the Florida 2015 Beaver Toyota RAV4 . Shop Us Online at www.beavertoyotastaugustine.com. Serving Jacksonville, Palm Coast, Daytona, Gainesville and St Augustine. Beaver Toyota St Augustine on 2995 US Hwy 1 South in St Augustine. CARFAX One-Owner. Clean CARFAX. Certified. PRISTINE CONDITION, SUNROOF / MOONROOF / ROOF, Bluetooth Handsfree, NO ACCIDENTS ON CARFAX REPORT, TOYOTA CERTIFIED*7 YEAR/100K MILE WARRANTY*$0 DEDUCTIBLE*BUY WITH PEACE OF MIND, Rear View Camera, One Owner, NONSmoker, Local Trade, MUST SEE!, Fresh Oil Change, Passed 160 Point Toyota Certified Inspection, Passed Dealership Inspection, Freshly Detailed, MINT CONDITION, EXCELLENT CONDITION, CERTIFIED USED THE BEST WAY TO BUY YOUR BEST USED CAR! !ABSOLUTELY THE BEST USED CARS ARE HERE AT BEAVER TOYOTA!! WE HAVE THE SAFEST AND BEST PREPARED USED CARS IN THE MARKET! !WE MAKE SURE EVERY CUSTOMER THAT BUYS FROM BEAVER JOINS OUR ROYAL SERVICE EXPERIENCE FOR THE REST OF OUR LIFE! !, Navigation System. 23/30 City/Highway MPG Priced below KBB Fair Purchase Price! Orange 2016 Toyota RAV4 XLE FWD 2.5L 4-Cylinder DOHC Dual VVT-i Toyota Certified Used Vehicles Details: * Limited Comprehensive Warranty: 12 Month/12,000 Mile (whichever comes first) from certified purchase date. Roadside Assistance for 1 Year * Powertrain Limited Warranty: 84 Month/100,000 Mile (whichever comes first) from original in-service date * Roadside Assistance * Warranty Deductible: $50 * Vehicle History * 160 Point Inspection * Transferable Warranty Awards: * 2016 IIHS Top Safety Pick+ * 2016 KBB.com 10 Best SUVs Under $25,000 Orange 2016 Beaver Toyota RAV4 XLE is a 4D Sport Utility FWD . This Florida SUV has a 2.5L 4-Cylinder DOHC Dual VVT-i engine. Call right now and schedule a test drive. Ask for stock number 257586, the Florida 2016 Beaver Toyota RAV4 . Shop Us Online at www.beavertoyotastaugustine.com. Serving Jacksonville, Palm Coast, Daytona, Gainesville and St Augustine. Beaver Toyota St Augustine on 2995 US Hwy 1 South in St Augustine. CARFAX One-Owner. Clean CARFAX. Certified. PRISTINE CONDITION, SUNROOF / MOONROOF / ROOF, Bluetooth Handsfree, NO ACCIDENTS ON CARFAX REPORT, TOYOTA CERTIFIED*7 YEAR/100K MILE WARRANTY*$0 DEDUCTIBLE*BUY WITH PEACE OF MIND, Rear View Camera, One Owner, NONSmoker, Local Trade, MUST SEE!, Fresh Oil Change, Passed Dealership Inspection, Freshly Detailed, MINT CONDITION, EXCELLENT CONDITION. 23/30 City/Highway MPG Priced below KBB Fair Purchase Price! Electric Storm Blue 2016 Toyota RAV4 XLE FWD 2.5L 4-Cylinder DOHC Dual VVT-i Toyota Certified Used Vehicles Details: * Powertrain Limited Warranty: 84 Month/100,000 Mile (whichever comes first) from original in-service date * 160 Point Inspection * Warranty Deductible: $50 * Limited Comprehensive Warranty: 12 Month/12,000 Mile (whichever comes first) from certified purchase date. Roadside Assistance for 1 Year * Roadside Assistance * Transferable Warranty * Vehicle History Awards: * 2016 IIHS Top Safety Pick+ * 2016 KBB.com 10 Best SUVs Under $25,000 Electric Storm Blue 2016 Beaver Toyota RAV4 XLE is a 4D Sport Utility FWD . This Florida SUV has a 2.5L 4-Cylinder DOHC Dual VVT-i engine. Call right now and schedule a test drive. Ask for stock number 097007, the Florida 2016 Beaver Toyota RAV4 . Shop Us Online at www.beavertoyotastaugustine.com. Serving Jacksonville, Palm Coast, Daytona, Gainesville and St Augustine. Beaver Toyota St Augustine on 2995 US Hwy 1 South in St Augustine. CARFAX One-Owner. Clean CARFAX. Certified. PRISTINE CONDITION, NO ACCIDENTS ON CARFAX REPORT, Rear View Camera, One Owner, NONSmoker, MUST SEE!, Fresh Oil Change, Passed Dealership Inspection, Freshly Detailed, MINT CONDITION, EXCELLENT CONDITION, ANOTHER ONE, TOP TEN CERTIFIED DEALERSHIP IN THE COUNTRY! !, OUR CARS ARE THE BEST CERTIFIEDS USED CARS IN THE COUNTRY ,WE HANDPICK THE BEST WE SELL YOU AND YOUR FAMILY THE BEST AND SAFEST USED CARS IN THE MARKET!!. 23/30 City/Highway MPG Priced below KBB Fair Purchase Price! Silver Sky Metallic 2016 Toyota RAV4 XLE FWD 2.5L 4-Cylinder DOHC Dual VVT-i Toyota Certified Used Vehicles Details: * Powertrain Limited Warranty: 84 Month/100,000 Mile (whichever comes first) from original in-service date * Roadside Assistance * 160 Point Inspection * Limited Comprehensive Warranty: 12 Month/12,000 Mile (whichever comes first) from certified purchase date. Roadside Assistance for 1 Year * Transferable Warranty * Vehicle History * Warranty Deductible: $50 Awards: * 2016 IIHS Top Safety Pick+ * 2016 KBB.com 10 Best SUVs Under $25,000 Silver Sky Metallic 2016 Beaver Toyota RAV4 XLE is a 4D Sport Utility FWD . This Florida SUV has a 2.5L 4-Cylinder DOHC Dual VVT-i engine. Call right now and schedule a test drive. 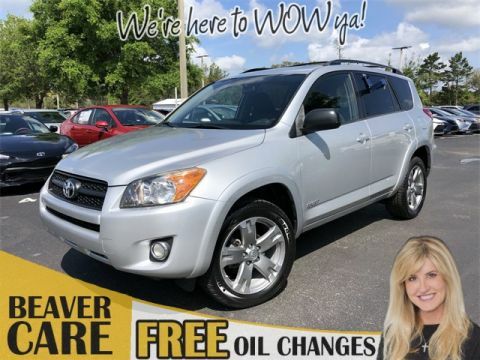 Ask for stock number 269848, the Florida 2016 Beaver Toyota RAV4 . Shop Us Online at www.beavertoyotastaugustine.com. Serving Jacksonville, Palm Coast, Daytona, Gainesville and St Augustine. Beaver Toyota St Augustine on 2995 US Hwy 1 South in St Augustine. CARFAX One-Owner. Clean CARFAX. Certified. PRISTINE CONDITION, SUNROOF / MOONROOF / ROOF, Bluetooth Handsfree, NO ACCIDENTS ON CARFAX REPORT, TOYOTA CERTIFIED*7 YEAR/100K MILE WARRANTY*$0 DEDUCTIBLE*BUY WITH PEACE OF MIND, Rear View Camera, One Owner, NONSmoker, Local Trade, MUST SEE!, New Tires, Fresh Oil Change, Passed 160 Point Toyota Certified Inspection, Passed Dealership Inspection, Freshly Detailed, MINT CONDITION, EXCELLENT CONDITION, BEAVER TOYOTA IS HERE TO OFFER YOU AND YOUR FAMILY THE BEST CERTIFIED USED CARS IN THE MARKET ,3 YERAS IN A ROW OUR CERTIFIEDS USED CARS ARE AT THE TOP OF THE WORLD ,WE HAVE AND PROVIDE YOU AND YOUR FAMILY WITH THE BEST INVENTORY ,THE BEST AND SAFEST USED CARS FOR YOU AND YOUR FAMILY FOR LIFE!YOU COME IN AS FRIENDS AND YOU LEAVE AS FAMILY ,WE WANT TO MAKE SURE YOUR BUYING EXPERIENCE IS THE BEST EVER AND WE WANT TO PROVIDE YOU WITH THE BEST USEED CARS AVAILABLE SO THAT YOU AND YOUR FAMILY CAN ENJOY THE BEST RIDE OF YOUR LIFE!!. 23/30 City/Highway MPG Priced below KBB Fair Purchase Price! White 2016 Toyota RAV4 XLE FWD 2.5L 4-Cylinder DOHC Dual VVT-i Toyota Certified Used Vehicles Details: * Powertrain Limited Warranty: 84 Month/100,000 Mile (whichever comes first) from original in-service date * Vehicle History * Warranty Deductible: $50 * 160 Point Inspection * Transferable Warranty * Limited Comprehensive Warranty: 12 Month/12,000 Mile (whichever comes first) from certified purchase date. Roadside Assistance for 1 Year * Roadside Assistance Awards: * 2016 IIHS Top Safety Pick+ * 2016 KBB.com 10 Best SUVs Under $25,000 White 2016 Beaver Toyota RAV4 XLE is a 4D Sport Utility FWD . This Florida SUV has a 2.5L 4-Cylinder DOHC Dual VVT-i engine. Call right now and schedule a test drive. Ask for stock number 293243, the Florida 2016 Beaver Toyota RAV4 . Shop Us Online at www.beavertoyotastaugustine.com. Serving Jacksonville, Palm Coast, Daytona, Gainesville and St Augustine. Beaver Toyota St Augustine on 2995 US Hwy 1 South in St Augustine. CARFAX One-Owner. Clean CARFAX. PRISTINE CONDITION, SUNROOF / MOONROOF / ROOF, Bluetooth Handsfree, NO ACCIDENTS ON CARFAX REPORT, TOYOTA CERTIFIED*7 YEAR/100K MILE WARRANTY*$0 DEDUCTIBLE*BUY WITH PEACE OF MIND, Rear View Camera, One Owner, NONSmoker, Local Trade, MUST SEE!, Fresh Oil Change, Passed Dealership Inspection, Freshly Detailed, MINT CONDITION, EXCELLENT CONDITION. 22/29 City/Highway MPG White 2017 Toyota RAV4 LE AWD 2.5L 4-Cylinder DOHC Dual VVT-i Awards: * 2017 IIHS Top Safety Pick+ * 2017 KBB.com 10 Best SUVs Under $25,000 * 2017 KBB.com Best Resale Value Awards * 2017 KBB.com 10 Most Awarded Brands White 2017 Beaver Toyota RAV4 LE is a 4D Sport Utility AWD . This Florida SUV has a 2.5L 4-Cylinder DOHC Dual VVT-i engine. Call right now and schedule a test drive. 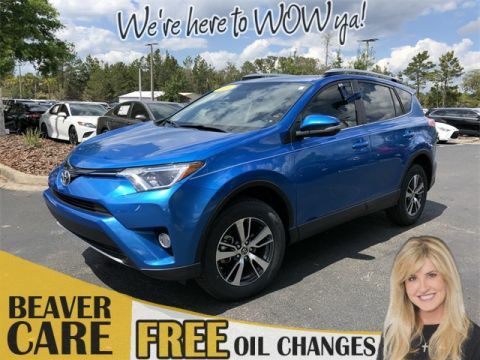 Ask for stock number W011130A, the Florida 2017 Beaver Toyota RAV4 . Shop Us Online at www.beavertoyotastaugustine.com. Serving Jacksonville, Palm Coast, Daytona, Gainesville and St Augustine. Beaver Toyota St Augustine on 2995 US Hwy 1 South in St Augustine. PRISTINE CONDITION, Bluetooth Handsfree, Rear View Camera, One Owner, NONSmoker, Local Trade, MUST SEE!, Fresh Oil Change, Passed Dealership Inspection, Freshly Detailed, MINT CONDITION, EXCELLENT CONDITION, COME LOOK AT THIS 13 RAV ,WHAT A PRICE ,WHAT A DEAL ,COME AN EXPERIENCE THR BUYING OF THE BEST USED CARS IN THE MARKET! !EVERY USED CAR IS SERVICED TO PERFECTION AND READY FOR YOU AND YOUR FAMILY TO EXPERIENCE THE SAFEST RIDE OF YOUR LIFE!!. 24/31 City/Highway MPG Super White 2013 Toyota RAV4 XLE FWD 2.5L 4-Cylinder DOHC Dual VVT-i Awards: * 2013 IIHS Top Safety Pick * 2013 KBB.com Best Resale Value Awards * 2013 KBB.com Brand Image Awards Super White 2013 Beaver Toyota RAV4 XLE is a 4D Sport Utility FWD . This Florida SUV has a 2.5L 4-Cylinder DOHC Dual VVT-i engine. Call right now and schedule a test drive. 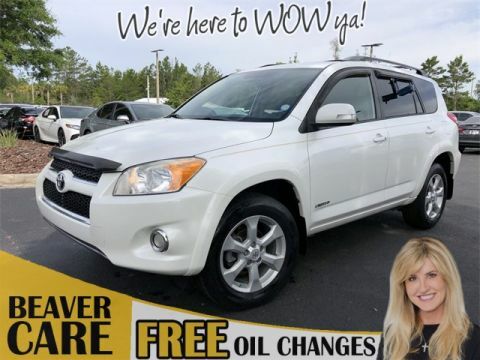 Ask for stock number 067777, the Florida 2013 Beaver Toyota RAV4 . Shop Us Online at www.beavertoyotastaugustine.com. Serving Jacksonville, Palm Coast, Daytona, Gainesville and St Augustine. Beaver Toyota St Augustine on 2995 US Hwy 1 South in St Augustine. CARFAX One-Owner. Clean CARFAX. Certified. PRISTINE CONDITION, SUNROOF / MOONROOF / ROOF, Bluetooth Handsfree, NO ACCIDENTS ON CARFAX REPORT, TOYOTA CERTIFIED*7 YEAR/100K MILE WARRANTY*$0 DEDUCTIBLE*BUY WITH PEACE OF MIND, Rear View Camera, One Owner, NONSmoker, Local Trade, MUST SEE!, Fresh Oil Change, Passed 160 Point Toyota Certified Inspection, Passed Dealership Inspection, Freshly Detailed, MINT CONDITION, EXCELLENT CONDITION, THE BEST USED CARS ARE HERE AT BEAVER TOYOTA,THE TOP CERTIFIED IN THE COUNTRY IN CERTIFIED USED CARS ARE HERE AT BEAVER TOYOTA! !WE CARE FOR OUR CUSTOMERS ,AND WE MAKE THEM JOIN OUR ROYAL SERVICE EXPERIENCELIKE NO OTHER DEALER ,WE HAVE THE BEST AND WE ONLY SELL THE BEST !!. 23/30 City/Highway MPG 2016 Toyota RAV4 XLE FWD 2.5L 4-Cylinder DOHC Dual VVT-i Toyota Certified Used Vehicles Details: * Limited Comprehensive Warranty: 12 Month/12,000 Mile (whichever comes first) from certified purchase date. Roadside Assistance for 1 Year * Powertrain Limited Warranty: 84 Month/100,000 Mile (whichever comes first) from original in-service date * Warranty Deductible: $50 * Vehicle History * 160 Point Inspection * Roadside Assistance * Transferable Warranty Awards: * 2016 IIHS Top Safety Pick+ * 2016 KBB.com 10 Best SUVs Under $25,000 2016 Beaver Toyota RAV4 XLE is a 4D Sport Utility FWD . This Florida SUV has a 2.5L 4-Cylinder DOHC Dual VVT-i engine. Call right now and schedule a test drive. Ask for stock number 274812, the Florida 2016 Beaver Toyota RAV4 . Shop Us Online at www.beavertoyotastaugustine.com. Serving Jacksonville, Palm Coast, Daytona, Gainesville and St Augustine. Beaver Toyota St Augustine on 2995 US Hwy 1 South in St Augustine. CARFAX One-Owner. Clean CARFAX. PRISTINE CONDITION, GPS / NAVI / NAVIGATION, SUNROOF / MOONROOF / ROOF, Bluetooth Handsfree, NO ACCIDENTS ON CARFAX REPORT, TOYOTA CERTIFIED*7 YEAR/100K MILE WARRANTY*$0 DEDUCTIBLE*BUY WITH PEACE OF MIND, Rear View Camera, One Owner, NONSmoker, Local Trade, MUST SEE!, Fresh Oil Change, Passed Dealership Inspection, Freshly Detailed, MINT CONDITION, EXCELLENT CONDITION, top certified toyota dealership in the country ,providing OUR CUSTOMERS WITH THE BEST USED CARS IN THE COUNTRY ,THE SAFEST USED CARS ARE SOLD HERE ,NOBODY CARE MORE THAN US ,THE BEAVER FAMILY WANTS YOU AND YOUR FAMILY TO JOIN US FOR LIFE! !, Navigation System. 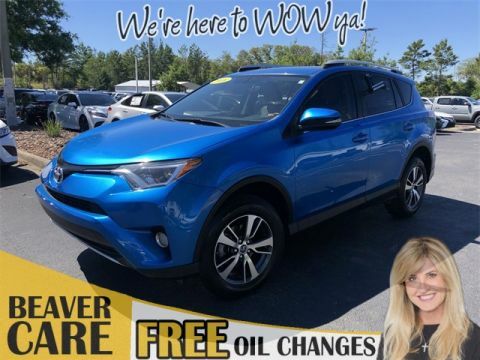 23/30 City/Highway MPG Galactic Aqua Mica 2017 Toyota RAV4 XLE FWD 2.5L 4-Cylinder DOHC Dual VVT-i Awards: * 2017 IIHS Top Safety Pick+ * 2017 KBB.com 10 Best SUVs Under $25,000 * 2017 KBB.com Best Resale Value Awards * 2017 KBB.com 10 Most Awarded Brands Galactic Aqua Mica 2017 Beaver Toyota RAV4 XLE is a 4D Sport Utility FWD . This Florida SUV has a 2.5L 4-Cylinder DOHC Dual VVT-i engine. Call right now and schedule a test drive. Ask for stock number 103485, the Florida 2017 Beaver Toyota RAV4 . Shop Us Online at www.beavertoyotastaugustine.com. Serving Jacksonville, Palm Coast, Daytona, Gainesville and St Augustine. Beaver Toyota St Augustine on 2995 US Hwy 1 South in St Augustine. CARFAX One-Owner. Certified. PRISTINE CONDITION, GPS / NAVI / NAVIGATION, SUNROOF / MOONROOF / ROOF, Bluetooth Handsfree, NO ACCIDENTS ON CARFAX REPORT, One Owner, NONSmoker, Local Trade, MUST SEE!, Fresh Oil Change, Passed Dealership Inspection, Freshly Detailed, MINT CONDITION, EXCELLENT CONDITION. 23/30 City/Highway MPG Black 2016 Toyota RAV4 XLE FWD 2.5L 4-Cylinder DOHC Dual VVT-i Toyota Certified Used Vehicles Details: * Roadside Assistance * Transferable Warranty * 160 Point Inspection * Warranty Deductible: $50 * Powertrain Limited Warranty: 84 Month/100,000 Mile (whichever comes first) from original in-service date * Limited Comprehensive Warranty: 12 Month/12,000 Mile (whichever comes first) from certified purchase date. Roadside Assistance for 1 Year * Vehicle History Awards: * 2016 IIHS Top Safety Pick+ * 2016 KBB.com 10 Best SUVs Under $25,000 Black 2016 Beaver Toyota RAV4 XLE is a 4D Sport Utility FWD . This Florida SUV has a 2.5L 4-Cylinder DOHC Dual VVT-i engine. Call right now and schedule a test drive. Ask for stock number 284755, the Florida 2016 Beaver Toyota RAV4 . Shop Us Online at www.beavertoyotastaugustine.com. Serving Jacksonville, Palm Coast, Daytona, Gainesville and St Augustine. Beaver Toyota St Augustine on 2995 US Hwy 1 South in St Augustine. CARFAX One-Owner. Clean CARFAX. Certified. PRISTINE CONDITION, GPS / NAVI / NAVIGATION, SUNROOF / MOONROOF / ROOF, Leather, Bluetooth Handsfree, NO ACCIDENTS ON CARFAX REPORT, TOYOTA CERTIFIED*7 YEAR/100K MILE WARRANTY*$0 DEDUCTIBLE*BUY WITH PEACE OF MIND, Rear View Camera, LEATHER, One Owner, NONSmoker, Local Trade, MUST SEE!, New Tires, Fresh Oil Change, Passed 160 Point Toyota Certified Inspection, Passed Dealership Inspection, Freshly Detailed, MINT CONDITION, EXCELLENT CONDITION, THE BEST CERTIFIED USED CARS IN THE COUNTRY ARE HERE AT BEAVER TOYOTA,OUR DEALERSHIP HAS BEEN RANKED TOP 10IN THE COUNTRY UN CERTIFIED USED CARS! !WE PRDUCE THE BEST USED CARS OF ANY MARKET ,OUR USED CARS ARE COMPLETLY SERVICED TO PERFECTION ,SO THAT YOU AND YOUR FAMILY WILL ENJOY THE BEST RIDE OF YOUR LIFE! !, Navigation System. 23/30 City/Highway MPG Barcelona Red Metallic 2016 Toyota RAV4 SE FWD 2.5L 4-Cylinder DOHC Dual VVT-i Toyota Certified Used Vehicles Details: * Transferable Warranty * 160 Point Inspection * Roadside Assistance * Powertrain Limited Warranty: 84 Month/100,000 Mile (whichever comes first) from original in-service date * Limited Comprehensive Warranty: 12 Month/12,000 Mile (whichever comes first) from certified purchase date. Roadside Assistance for 1 Year * Warranty Deductible: $50 * Vehicle History Awards: * 2016 IIHS Top Safety Pick+ * 2016 KBB.com 10 Best SUVs Under $25,000 Barcelona Red Metallic 2016 Beaver Toyota RAV4 SE is a 4D Sport Utility FWD . This Florida SUV has a 2.5L 4-Cylinder DOHC Dual VVT-i engine. Call right now and schedule a test drive. Ask for stock number 261865, the Florida 2016 Beaver Toyota RAV4 . Shop Us Online at www.beavertoyotastaugustine.com. Serving Jacksonville, Palm Coast, Daytona, Gainesville and St Augustine. Beaver Toyota St Augustine on 2995 US Hwy 1 South in St Augustine. CARFAX One-Owner. Clean CARFAX. Certified. PRISTINE CONDITION, GPS / NAVI / NAVIGATION, SUNROOF / MOONROOF / ROOF, Leather, Bluetooth Handsfree, NO ACCIDENTS ON CARFAX REPORT, TOYOTA CERTIFIED*7 YEAR/100K MILE WARRANTY*$0 DEDUCTIBLE*BUY WITH PEACE OF MIND, Rear View Camera, LEATHER, One Owner, NONSmoker, Local Trade, MUST SEE!, Fresh Oil Change, Passed Dealership Inspection, Freshly Detailed, MINT CONDITION, EXCELLENT CONDITION, HERE IAANOTHER SPECIAL CERTIFIED USED CAR FROM THE TOP CERTIFIED DEALERSHIP IN THE COUNTRY! !OUR CERTIFIED USED CARS ARE THE BEST PREPARED USED CARS IN THE MARKET.WE MAKE SURE WE SELL THE SAFEST USED CARS IN THE MARKET!, Navigation System. 23/29 City/Highway MPG Priced below KBB Fair Purchase Price! 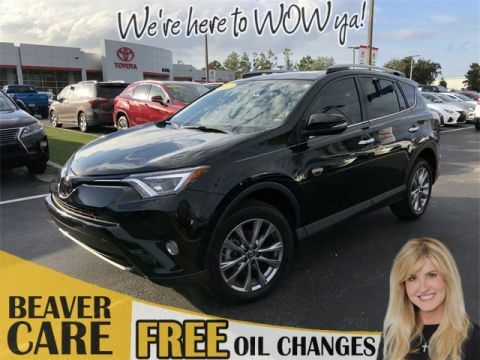 Black Currant Metallic 2017 Toyota RAV4 Limited FWD 2.5L 4-Cylinder DOHC Dual VVT-i Toyota Certified Used Vehicles Details: * Transferable Warranty * Powertrain Limited Warranty: 84 Month/100,000 Mile (whichever comes first) from original in-service date * Warranty Deductible: $50 * Vehicle History * 160 Point Inspection * Limited Comprehensive Warranty: 12 Month/12,000 Mile (whichever comes first) from certified purchase date. Roadside Assistance for 1 Year * Roadside Assistance Awards: * 2017 KBB.com 10 Best SUVs Under $25,000 * 2017 KBB.com Best Resale Value Awards * 2017 KBB.com 10 Most Awarded Brands Black Currant Metallic 2017 Beaver Toyota RAV4 Limited is a 4D Sport Utility FWD . This Florida SUV has a 2.5L 4-Cylinder DOHC Dual VVT-i engine. Call right now and schedule a test drive. 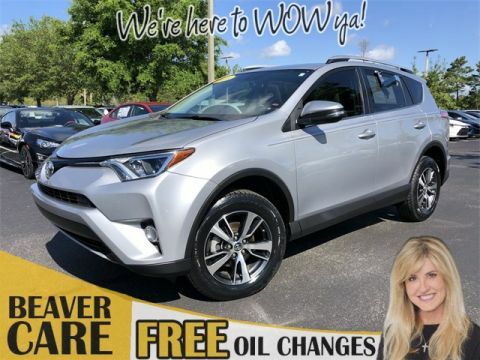 Ask for stock number 176597A, the Florida 2017 Beaver Toyota RAV4 . Shop Us Online at www.beavertoyotastaugustine.com. Serving Jacksonville, Palm Coast, Daytona, Gainesville and St Augustine. Beaver Toyota St Augustine on 2995 US Hwy 1 South in St Augustine. CARFAX One-Owner. Clean CARFAX. Certified. PRISTINE CONDITION, SUNROOF / MOONROOF / ROOF, Bluetooth Handsfree, NO ACCIDENTS ON CARFAX REPORT, TOYOTA CERTIFIED*7 YEAR/100K MILE WARRANTY*$0 DEDUCTIBLE*BUY WITH PEACE OF MIND, Rear View Camera, One Owner, NONSmoker, Local Trade, MUST SEE!, Fresh Oil Change, Passed 160 Point Toyota Certified Inspection, Passed Dealership Inspection, Freshly Detailed, MINT CONDITION, EXCELLENT CONDITION, ANOTHER ONE OF OUR SPECIAL CERTIFIED USED CARS ,BEAVER TOYOTA RECOGNIZED AS THE TOP CERTIFIED DEALER IN AMERICA!! OUR USED CARS ARE THE BEST SERVICED USED CARS IN THE NATION!WE MAKE SURE WE HAVE THE SAFEST USED CARS FOR YOU AND YOUR FAMILY! !OUR USED CARS ARE THE BEST SERVICED!!. 23/30 City/Highway MPG Electric Storm Blue 2016 Toyota RAV4 XLE FWD 2.5L 4-Cylinder DOHC Dual VVT-i Toyota Certified Used Vehicles Details: * Powertrain Limited Warranty: 84 Month/100,000 Mile (whichever comes first) from original in-service date * Limited Comprehensive Warranty: 12 Month/12,000 Mile (whichever comes first) from certified purchase date. Roadside Assistance for 1 Year * Roadside Assistance * Transferable Warranty * Vehicle History * Warranty Deductible: $50 * 160 Point Inspection Awards: * 2016 IIHS Top Safety Pick+ * 2016 KBB.com 10 Best SUVs Under $25,000 Electric Storm Blue 2016 Beaver Toyota RAV4 XLE is a 4D Sport Utility FWD . This Florida SUV has a 2.5L 4-Cylinder DOHC Dual VVT-i engine. Call right now and schedule a test drive. Ask for stock number 076168, the Florida 2016 Beaver Toyota RAV4 . Shop Us Online at www.beavertoyotastaugustine.com. Serving Jacksonville, Palm Coast, Daytona, Gainesville and St Augustine. Beaver Toyota St Augustine on 2995 US Hwy 1 South in St Augustine. Clean CARFAX. 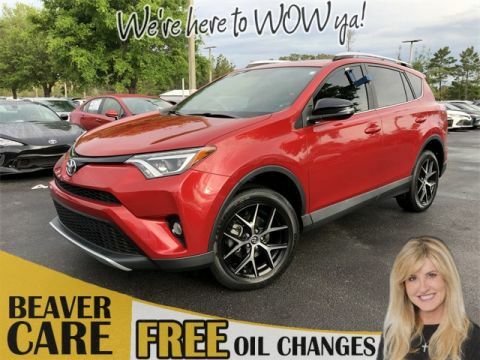 23/29 City/Highway MPG Charcoal 2018 Toyota RAV4 SE FWD 2.5L 4-Cylinder DOHC Dual VVT-i Charcoal 2018 Beaver Toyota RAV4 SE is a 4D Sport Utility FWD . This Florida SUV has a 2.5L 4-Cylinder DOHC Dual VVT-i engine. Call right now and schedule a test drive. Ask for stock number 471962, the Florida 2018 Beaver Toyota RAV4 . Shop Us Online at www.beavertoyotastaugustine.com. Serving Jacksonville, Palm Coast, Daytona, Gainesville and St Augustine. Beaver Toyota St Augustine on 2995 US Hwy 1 South in St Augustine. Since its 1998 debut, the RAV4 has continued to grow in popularity. In 2013, the Toyota RAV4 went through a redesign which now includes a standard backup camera and Toyota Safety Sense™ (TSS). 2016 also saw the introduction of the Toyota RAV4 Hybrid. 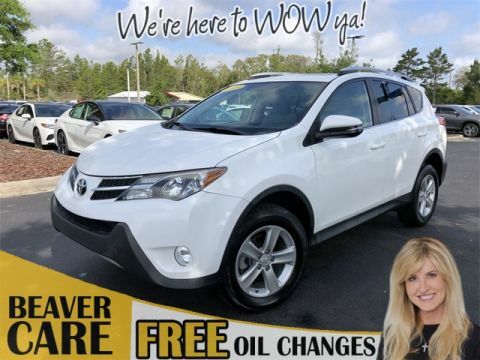 A used Toyota RAV4 allows many options and features at a price that is right. 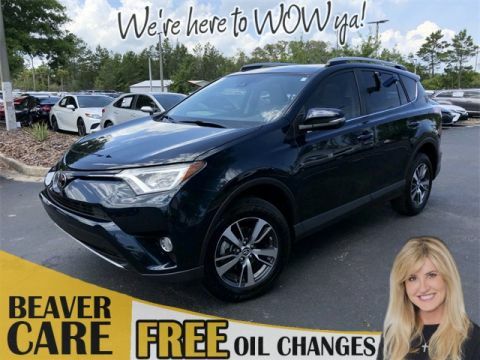 Buying a used Toyota RAV4 or Certified Pre-Owned Toyota RAV4 is a wise move for St. Augustine drivers looking to get the most for their money, so take advantage of savings today by browsing our inventory of currently in-stock vehicles.